JUST TWO months after introducing a policy to promote mining, Meghalaya has diluted the definition of “forest”. On December 28, the state government amended its Forest Regulation Act of 1973 and said only a “compact and continuos tract of minimum four hectares” will now be considered as forest in the state. The government says the amendment is to provide clarity to the unclear definition of forest. Expe rts fear that the new definition may open up large tracts of forestland for non-forest use. The new definition specifies that an area should have more than 250 naturally growing trees with a girth size of 15 cm or more per hectare (ha) to be regarded as forest. In case of a bamboo dominant patch, more than 100 naturally growing clumps should be present per ha. In case of mixed vegetation, the number changes to 150 trees and over 40 bamboo clumps. Arwat Challam, who works with non-profit Samrakshan Trust in Meghalaya, questions the need for the new definition when all states across the country follow the definition put forth by the Supreme Court. In December 1996, the apex court passed a landmark judgement, reinterpreting the definition of forest under the Forest Conservation Act of 1980. The definition not only includes forests mentioned in government records but “all areas that are forests as per the dictionary meaning of the term irrespective of the nature of ownership and classification”. Accordi ng to Oxford English Dictionary a forest is “a large area covered chiefly with trees and undergrowth”. There is no demarcation in terms of area or number of tre es in the dictionary meaning. P B O Warjri, additional chief secretary of the state’s forests and environment department, says, “The Supr eme Court’s definition is very general. We have gone into specifi cs with a view to conserve forests in Meghalaya.” Warjri explains: “Whenever an industry applies for forestland diversion, our officers give it an okay since very little forest in the state is notified with the government.” Of the 16,000 sq km forest area in the state, only 1,000 sq km is notified. The definition, he adds, will help identify forestland and prevent their diversion for non-forest use. Analysts doubt. Arwat says Meghal aya seems to function as an independent nation when it comes to environmental and mining laws. Mining of coal, for instance, goes on in the state without any environmental clearance or mine lease. In Khasi Hills and Jaintia Hills, all it requires is no-objection certificates from the ADCs. The new definition will help them divert more forested area for mining, he adds. Shilpa Chohan, a Supreme Court lawyer who has been working on mining and forest issues in Meghalaya, agrees. 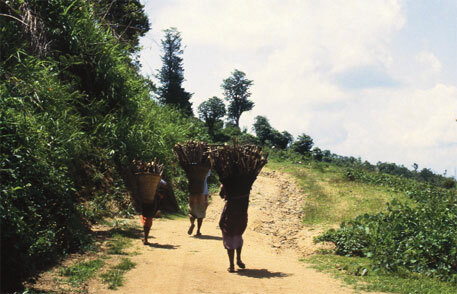 Most farmers in the state practise jhum (slash and burn) cultivation even today, which leads to fragmentation of forest. So going by the new definition, she adds, the government will have a smaller area classified as forest than before.